I have never seen a Jordan scorecard for sale so I had to buy this one. I've seen a few of them as him as the Marker but not his card. 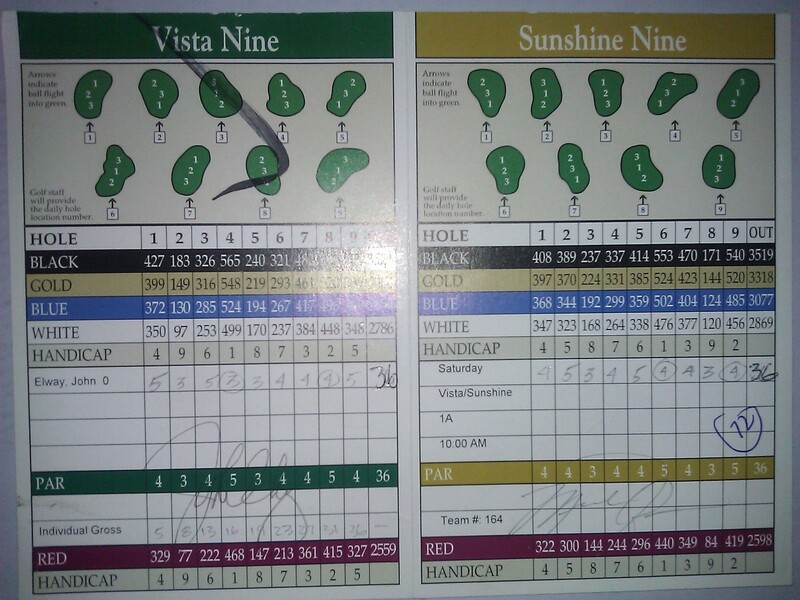 Michael Jordan kept John Elway's score on this scorecard. Elway made an Eagle on the front 9. nice!